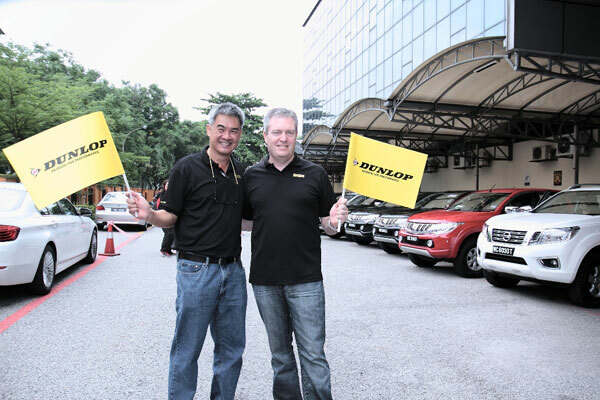 Pahang (26 May 2016) — Continental Tyre PJ Malaysia Sdn Bhd (CTM) today introduced its two new Dunlop 4×4 tyres, Dunlop RoadTrekker RT5 and Dunlop MaxGrip AT5 for the Malaysian market to meet the growing demands for high performance, durable and all-terrain capable tyres for SUVs, pick-ups and crossover SUVs. 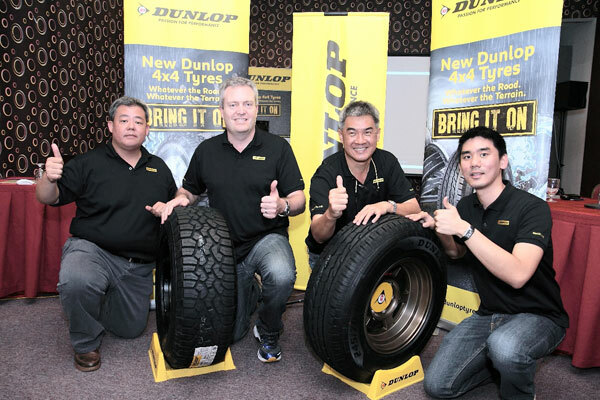 “The Dunlop RoadTrekker RT5 and Dunlop MaxGrip AT5 are the second generation of locally made Dunlop 4×4 tyres since Continental AG came to Malaysia. 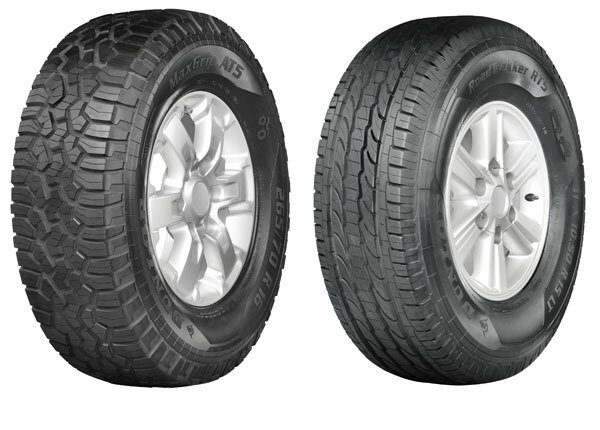 These new Dunlop 4×4 tyres were designed here in Malaysia for Malaysia road conditions and customer expectations. Incorporating German technology, these tyres are produced in our high-tech plant in Alor Star which is reaching new benchmarks for excellence in quality and process technology.” Said by Mr. Cameron Wilson, Managing Director of CTM during the press conference. 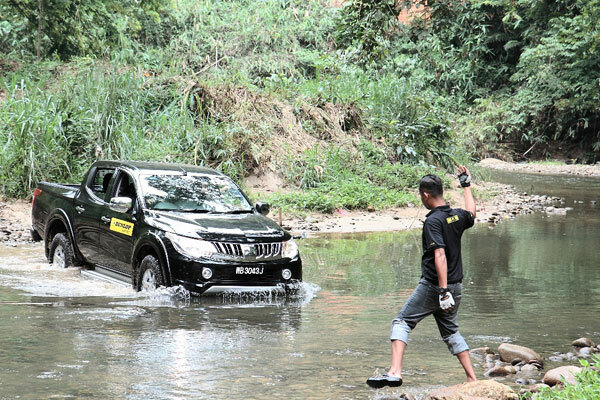 A 4×4 driving experience was organized from CTM office to Janda Baik for media to test the performance of the Dunlop MaxGrip AT5. The flag-off ceremony was officiated by Mr. Cameron Wilson, Managing Director of CTM and Mr. Sim Wee Chung, National Sales Manager-PLT of Replacement Market Malaysia. With the optimized tread depth, the Dunlop MaxGrip AT5 offers outstanding mileage performance while maintaining the durability on/off road. The varied angle “zig-zag” blade blocks on Dunlop MaxGrip AT5 is designed for smooth rolling and multi surface traction, it creates extra grip and traction on all surfaces with quick mud and stone release mechanism. In addition, its sidewall protection ring has enhanced the sidewall damage protection and resistance to sidewall forces, making it an outstanding 4×4 tyre that provides extra robustness on all surfaces on/off road. The new Dunlop 4×4 lines cover 90% of the 4×4 and pick-up vehicle tyre needs of the Malaysian market. RoadTrekker RT5 has 8 sizes ranging from 15” to 17” and is targeted for the highway-terrain segment, while the MaxGrip AT5 has 6 sizes ranging in 15” and 16” catering for the all-terrain segment. These tyres are now available at CTM dealerships nationwide – BestDrive Continental, Continental, Dunlop Klinikar & Viking Stores.